ORLANDO, FLORIDA – Heidi W. Isenhart, Alexander S. Douglas II, and Stephanie L. Cook, attorneys with the law firm of ShuffieldLowman were recently selected as 2017 Legal Elite attorneys by Florida Trend magazine. The “Legal Elite” designation represents the top 2% of The Florida Bar’s more than 67,000 members who practice in the state. The ShuffieldLowman attorneys were honored in the following practice areas, Isenhart (Elder Law), Douglas (Commercial Litigation), and Cook (Commercial Litigation). Florida Trend magazine collects ballots from Florida Bar members, asking lawyers to name attorneys whom they hold in the highest regard and would recommend to others. The results of the 14th annual survey appeared recently in Florida Trend. Isenhart, a partner with the firm, practices in elder law, Medicaid planning, guardianship, probate and trust administration, probate and guardianship litigation, estate planning and special-needs trusts. Douglas and Cook, both partners with the firm, practice in the areas of fiduciary and commercial litigation, with extensive experience in trust, probate and guardianship litigation. ORLANDO, FLORIDA – William “Bill” R. Lowman, Jr., Heidi W. Isenhart and Alexander “Alex” S. Douglas, II, partners with the law firm of ShuffieldLowman, have been selected as 2017 Florida Super Lawyers. Partner, Stephanie Cook has been named a Rising Star. 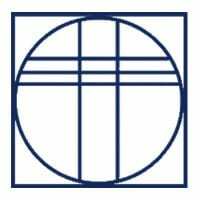 A founding partner of the firm, Lowman’s practice areas include corporate law, mergers and acquisitions, estate planning, high net worth planning, trademarks and copyrights, securities, tax advice and controversy, fiduciary litigation, labor and employment, and non-profit law. Isenhart practices in the areas of elder law, Medicaid planning, guardianship, probate and trust administration, probate and guardianship litigation, estate planning and special-needs trusts. Douglas practices in the area of fiduciary and commercial litigation, with extensive experience in trust, probate and guardianship litigation. Rising Star Stephanie Cook also practices in fiduciary and commercial litigation, with extensive experience in trust, probate and guardianship litigation. Shuffield, Lowman & Wilson, P.A., is a full-service law firm with five offices located in Orlando, Tavares, DeLand, Daytona Beach and Port Orange. The firm’s 40 attorneys practice in business law firm, practicing in the areas of corporate law, estate planning, real estate and litigation. Specific areas of practice include, association law, banking and finance, bankruptcy and creditors’ rights, commercial and civil litigation, construction, corporate, estate planning and probate, fiduciary litigation, guardianship and elder law, intellectual property, labor and employment, land use and government, mediation/alternative dispute resolution, mergers and acquisitions, non-profit law, planning for high net worth families with closely held businesses, real estate, securities and tax advice and controversy. 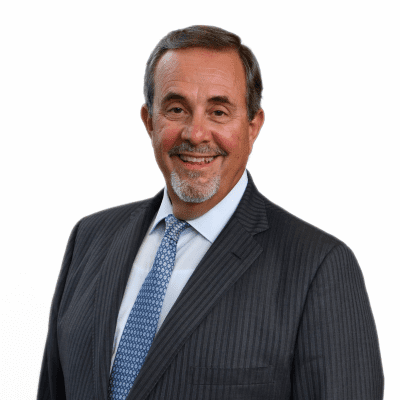 ORLANDO, Florida — The law firm of ShuffieldLowman recently announced the addition of attorney Raymond M. Donadio, Jr. as a firm partner and also announced the opening of a satellite office in Port Orange, Florida. Raymond M. Donadio, agreed to merge Donadio Law Offices, LLC into the firm, while remaining as the principal attorney leading the Port Orange office for ShuffieldLowman. William R. Lowman, Jr., president of ShuffieldLowman, stated, “Ray is a perfect fit for the ShuffieldLowman team, bringing tremendous expertise, a passion for helping people and deep roots in Volusia County and the Port Orange community.” ShuffieldLowman also welcomes Donadio’s office staff of six legal professionals. The new Port Orange location, along with offices in Daytona Beach and DeLand, augments ShuffieldLowman’s ability to provide legal services in Volusia County. 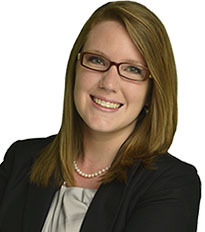 ORLANDO, FLORIDA – Alyse N. Verner, elder law attorney with ShuffieldLowman, will present a 1-day talk on April 20 for attorneys, accountants and financial planners on Medicaid Planning through the National Business Institute. As an elder law attorney, Verner works with clients in the areas of long term care planning, Medicaid planning and asset protection. Current areas of focus include estate planning, guardianship, probate and matters, including contested guardianship and fiduciary litigation. Verner is a graduate of Barry University School of Law, earning her undergraduate degree from the University of Central Florida. 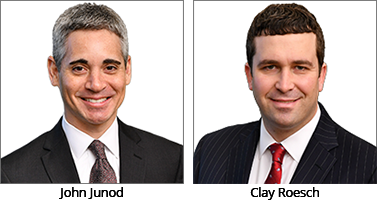 Orlando, Florida – The law firm of ShuffieldLowman recently named attorneys John P. Junod and Robert Clayton (Clay) Roesch as firm partners. John Junod practices in all areas of real estate law, with a focus on issues facing developers and home builders. He often represents clients in large real estate acquisitions, handling all transactional needs, including negotiating and drafting of documents, due diligence matters, plat review, title review, and closings. Junod earned both his law degree (J.D.) and his undergraduate degree (B.A.) from the University of Florida. Clay Roesch practices in the areas of complex commercial and civil litigation, fiduciary litigation and labor and employment law representing clients both at the trial level and on appeal. His extensive litigation work includes commercial lawsuits and arbitrations involving trade secrets, non-compete agreements, partnership disputes, LLC disputes and trust and probate litigation. He earned his law degree (J.D.) from University of Miami School of Law, and his undergraduate (B.A.) from University of North Carolina at Chapel Hill. 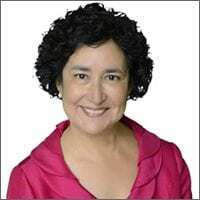 The Hispanic Chamber of Commerce of Metro Orlando (HCCMO) and Prospera (formerly HBIF – Hispanic Business Initiative Fund) recently named ShuffieldLowman partner Janet Martinez as the winner of Professional of the Year at the 19th Annual Don Quijote Awards. The Don Quijote Awards celebrate the achievements of business owners and professionals engaged in the Hispanic community who are committed to excellence and stewardship in their chosen fields or professions. The Professional of the Year award recognizes a Hispanic individual who has excelled in his or her profession or field of work. Janet Martinez’s work as a mentor to young colleagues and new professionals at ShuffieldLowman was a key factor in her recognition. A Lladro statuette of Don Quijote was presented to Janet at the event gala held on Saturday, December 10, 2016 at Epcot’s World Showplace Pavilion. For more information and the complete list of winners, visit HCCMO. Click here to watch the video.